Beautifully bound 8.5" x 11" two color book. Contains 95 pages with eight entries per page for guest's names, emails and addresses. 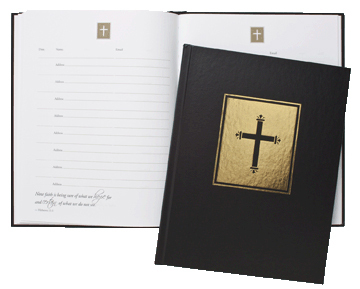 In a sturdy black leatherette with gold cross embossed on the front for long lasting memories. Inspirational Psalms are on each page.